The Marley Pale Pink dinner plate looks like a plate from Grandma’s cupboard, but yet it is so favored and popular here in the present. 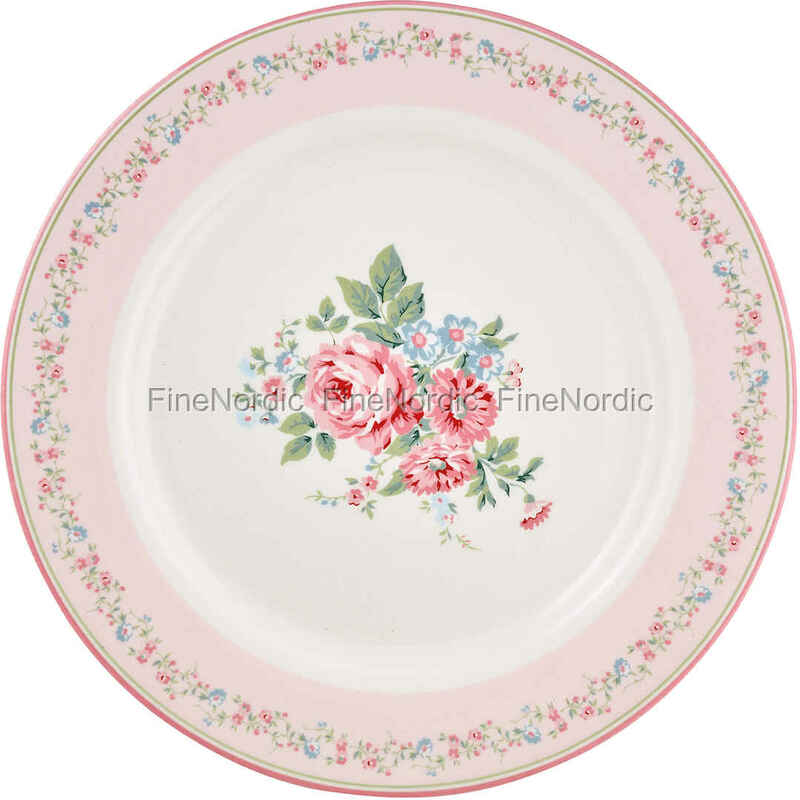 The pretty flower design of the GreenGate dinner plate Marley Pale Pink is a real highlight on the table. In the middle there is a bouquet of flowers in various shades of red and also in light blue and light green, on a light background. This is surrounded by the same-colored flowers on a pink background around the edge of the plate, framed by a light red and light green border. The color-coordinated design makes the hearts of GreenGate fans beat faster. The plate looks especially nice together with other pieces of the Marley Pale Pink tableware series.